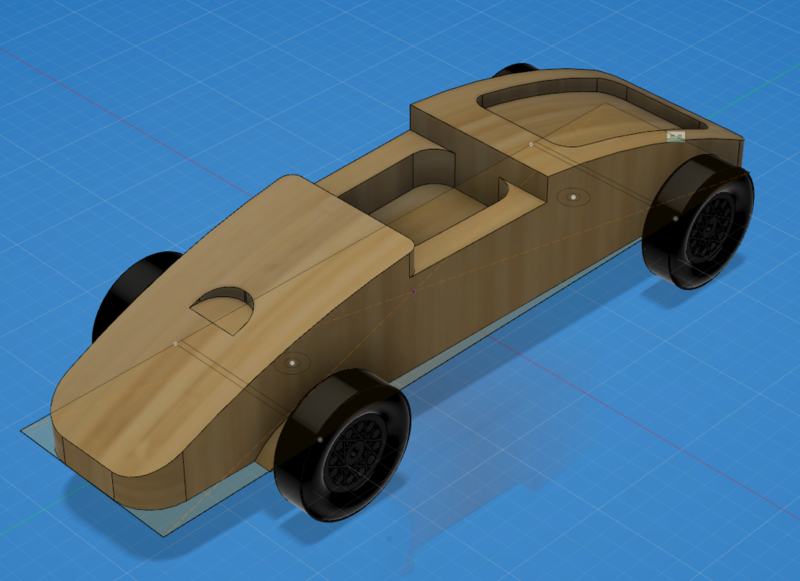 Interested in making your own custom pinewood derby car, or maybe enough for an entire race series? 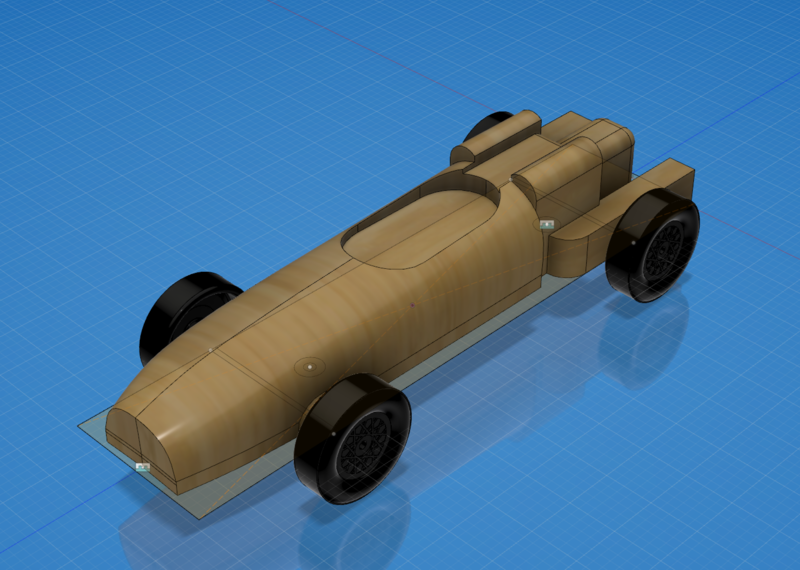 With our pinewood derby design template (Fusion 360) you can take your own car design from concept to reality with our Fusion 360 design template. Make one or make hundreds quickly and efficiently with your CNC Router Parts Machine. This sample project includes the design template that we used to create almost 1400 cars over two weekends at the 2016 Portland and Seattle Maker Faire events as well as specific sample designs consisting of a pickup truck, speed racer, Lotus-inspired formula car, and of course the classic wedge racer! Looking for inspiration? 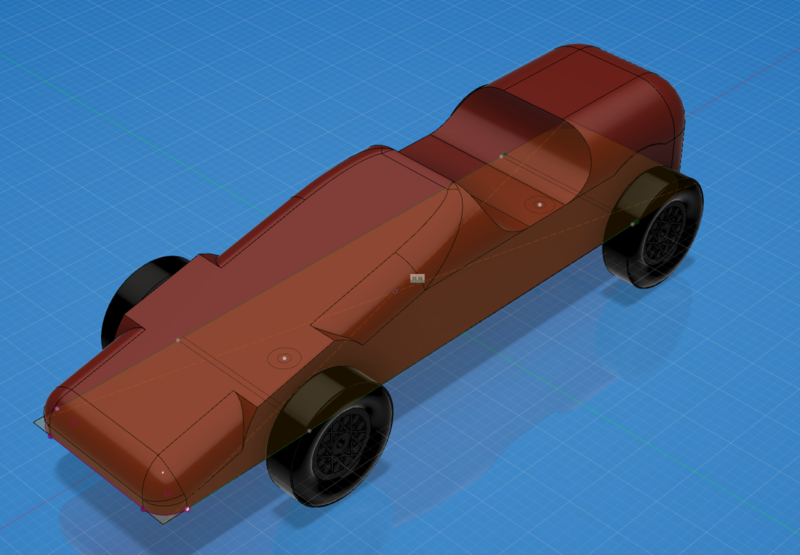 Check out some of the car's we designed using our Fusion 360 design template. 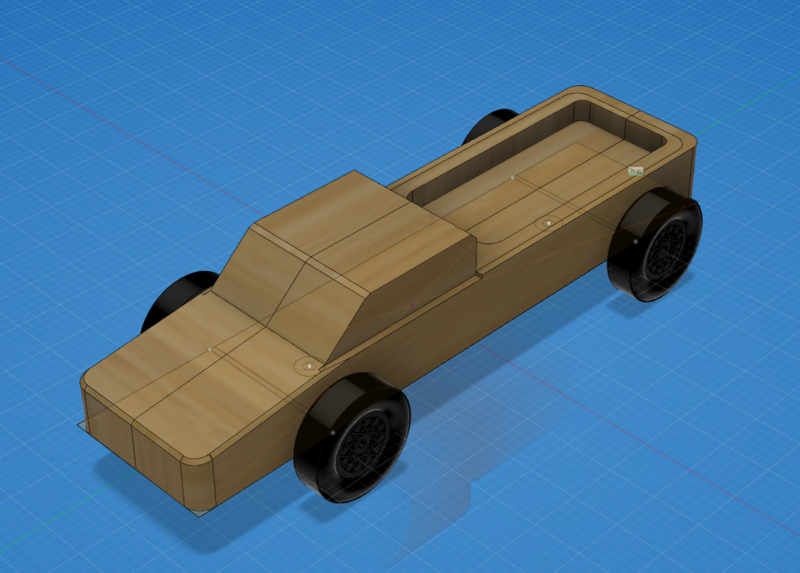 Our parametric Fusion 360 design template is intended to allow easy creation of custom 3D pinewood derby models that can be machined from a single side (top) of a standard size pinewood derby wood block (though you could get even more creative and try other materials). Most of the customization is accomplished by editing the "Side Profile" sketch and dragging the spline fit points. More advanced users can add their own fit points and even use other sketch primitives (such as lines) to make a truly unique profile. The CAM workspace is pre-configured for use with a 1/2" flat endmill tool. Machining times vary based on geometry and machine capabilities. Most our cars took between 3 and 4 minutes per car using conservative feeds and speeds. Pinewood Derby Kit (Available at local hobby stores, Amazon, etc.). Kit should include Wood Block, Axles, and Wheels. 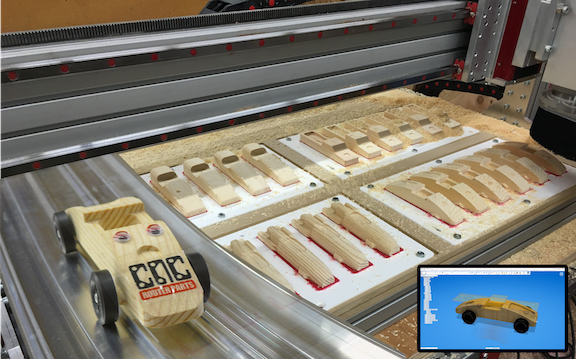 Check out this playlist to see how we used our Fusion 360 derby design template to make our custom pinewood derby exhibit our most interactive live show yet. Our Portland Day 2 video includes a brief overview of how to use the design template.